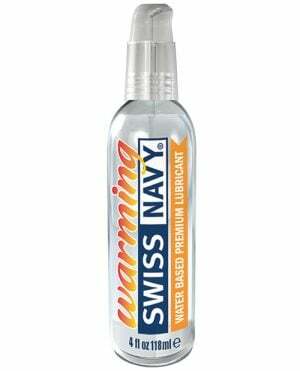 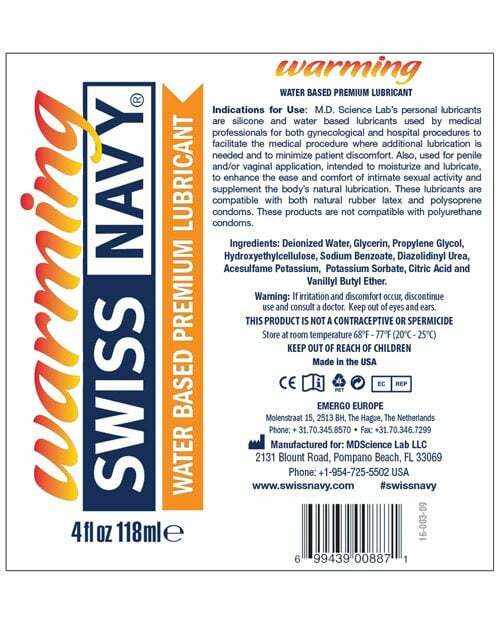 Introducing Swiss Navy Warming Water Based Lubricant with a deliciously sensual formula that creates a Pleasurable warming. 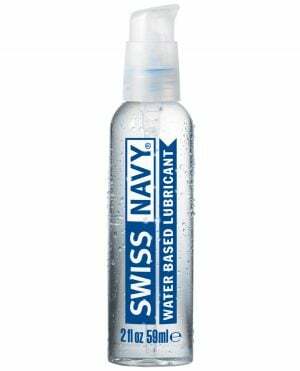 Swiss Nave water based formula feels and lasts like silicone. 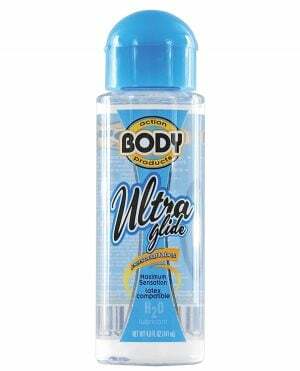 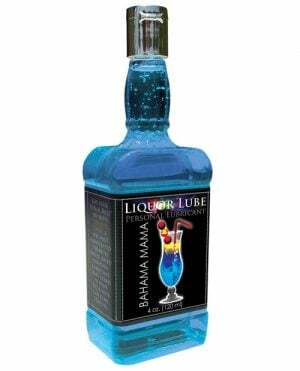 Recommended for extra special arousal. 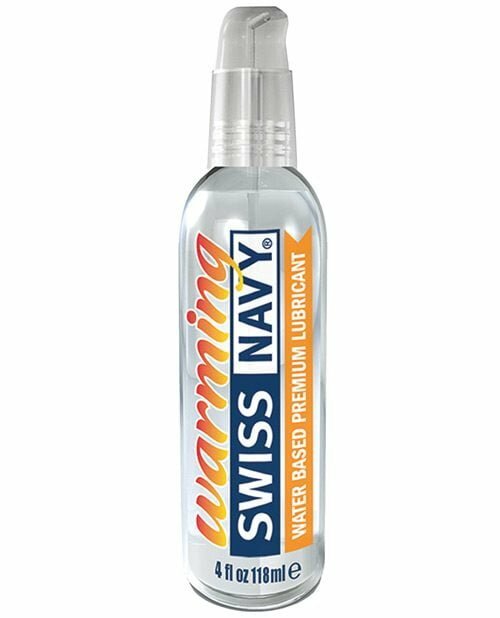 4 oz pump top bottle.